Sam Tee, also known as 'Uncle Button' has been clowning around since 1995. Clowning experience has brought him to many places from the deep jungles in Thailand to the modern city of Minneapolis. He is also actively involved in mission work all over Asia, in particular to closed-door countries. He provides training for churches, bible schools & mission organization, teaching others how to use creative arts for missions. His company also provides clowning supplies locallyand abroad. Sam is also actively involved in relief missions to disaster areas. He uses his 'Humour Therapy” for the affected children in Iran & Pakistan and is an active member of MERCY Malaysia. Sam tee is married to Adeline Chin & they have 3 boys, Jireh, Caleb and Jonathan. They worship at Tabernacle of David in Kuala Lumpur. 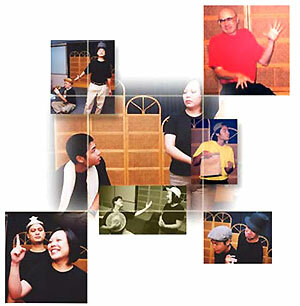 Footstool Players was established in May 2001 to provide quality entertaining and thought-provoking dramatic productions for the Malaysian Church, to challenge Christians and seekers alike with regard to matters of faith. They also seek to encourage and equip the Church in using drama as a medium of communication in Christian ministry. Their name is derived from Psalm 99:5, which calls us to "Exalt the Lord our God, and worship at his footstool." The verse shows a dramatic effort as a means of exalting God - a personal and collective expression of our worship of him - and the image of the footstool is symbolic of that humble place of meeting between ourselves and God, and the submission of our creative gifts to him. Footstool Players grew out of the drama ministry of Subang Jaya Gospel Centre, and now operates as an inter-denominational ministry to the broader Church in Malaysia. 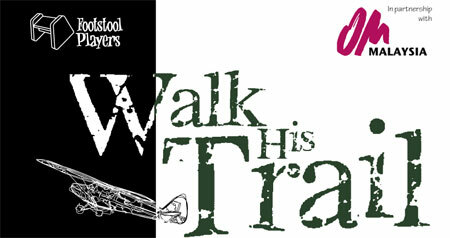 Its founding members are Colin Kirton, Geraldine Teoh, Jonathan Tan, Sean Low and Jennifer Ho. Their productions are typically performed in a contemporary style, with ample doses of humour and poignancy alike, and are suitable for a wide age range, from older children through to seniors. Colin Kirton leads the Footstool Players ministry and serves as its Artistic Director. Colin trained and performed in professional theatre in Canada before returning to Malaysia in 1998. He now freelances in the local arts and entertainment scene as an actor, director, writer, trainer, musician, singer, host/emcee and voiceover talent. He also regularly teaches on issues pertaining to the arts and faith, directs creative projects and conducts practical theatre skills workshops towards equipping and encouraging the Malaysian church in using the creative arts in worship, teaching and outreach. Back in 1993 Picture This & That started as a black & white portraiture studio. Picture This & That is now better known commercially not only for portraiture but also for its artistic photography and lifestyle photography. Picture This & That was birthed by women photographers, for whom intuition was their key strength. The Studio’s preferred work style is to always capture an essence - a reality, a truth, a beauty. With this, movement and life can be immortalized within a frame. We believe in a work philosophy that celebrates inner truths artistically with care, integrity and quality. It is this attempt to captivate these elusive emotive ingredients that has shaped and established the Studio. PICTURE THIS & THAT has recently initiated The Photographers’ Gallery.